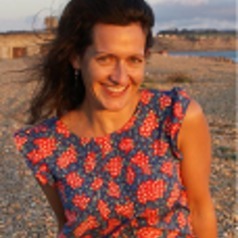 Caroline is an associate researcher at the Centre for Rural Policy Research at the University of Exeter. She completed her PhD focusing on agricultural labour in the UK, examining the changes and challenges associated with farm labour in the transition to sustainable intensification. Her current research presents an original analysis of the composition of contemporary farm labour in the South West of England, as a new worker profile emerges, as well as examining social, attitudinal, and behavioural changes that have arisen from transformations in the agricultural labour situation over the last fifty years. Caroline holds an MA (hons) in Social Anthropology from the University of Edinburgh and has several years’ experience working on organic farms and in environmental education, as well as working further afield on international development projects and in industry in Asia, Africa and Latin America. Wider interests include agricultural restructuring, cultural heritage, organic agriculture, landscape, connectedness and identity. She is a Global Social Researcher at The Donkey Sanctuary.